We also offer Zinc Sulphate HeptahydratePlants. These are mainly used as a trace nutrient in animal feeds, fertilizer ingredient, paint, lithopone, medicine, leather, Zn electro analysis and agriculture. These are in great demand in the market. We ensure that this chemical is rich in quality and is free from all the impurities. Common Salt 31 kg / Day max. 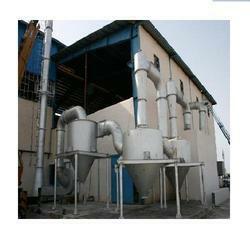 * The Plant capacity can be varied as per the requirement of customer. Please refer PDF attached for more details. 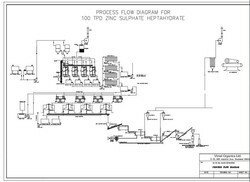 We offer a comprehensive range of Zinc Sulphate Monohydrate Plants to our clients. Zinc dissolves in sulphuric acid with evolution of H2 gas. 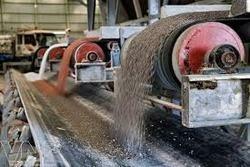 The slurry thus produced contains Zinc sulphate and impurities present in Zinc ash. The reaction is controlled in such a way that most of impurities are removed. The end point of reaction is very carefully maintained. The reactants are kept in a settling tank where some Floc is added to fasten the separation of the solid impurities. These are separated from clear solution of zinc sulphate in a PP recessed plate filter press. The filter press is hydraulically operated. 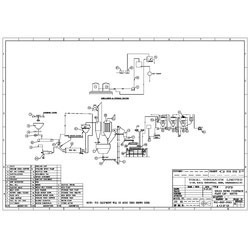 The clear solution containing product is fed to a spray drier where down going solution meets an updraft of hot air. The water is evaporated leaving dry crystals of Monohydrate which are then packed into bags. Please refer to PDF for more details. This is one plant which can manufacturer any of the following products at a time. 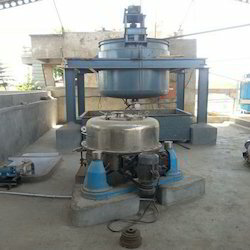 Over years of experience and expertise we decide the technology of process for Neem Oil Extraction Plant. Our esteemed clients can avail from us an exclusive range of NPK / NPKS Fertilizer Projects. These are available in various specifications and extensively used in agricultural industry. Our quality experts make sure that our range is free from any kind of defects and ideal for uses. Furthermore, we meet the demand of our clients within the committed time frame. We offer a superior range of Single Super Phosphate Plants to our clients at competitive prices. These fertilizer plants are capable of enhancing the soil fertility and are vital for the growth of plants. Our range is known for cost-effective operation and increased output. Furthermore, we meet the demand of our clients within the committed time frame. Consistent P2O5 contentin the product. Environment friendly technology with minimum pollution. Please refer PDF for more description. Our organization specializes in offering a wide range of Mixed Fertilizers Urea Phosphate/Soluble NPK Plant to our clients. NPK is the combination of nitrate, potash and Phosphorus fertilizer used for agriculture. 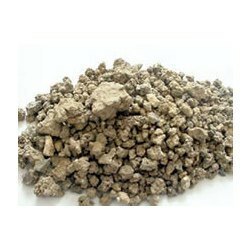 These are made from optimum quality raw materials, mainly phosphate. Our range of these products are extensively demanded in agricultural industry for serving various domestic purposes. We offer a unique project to manufacture Urea Phosphate 17:44 and next step is soluble Fertilizer 18:18:18 or 19:19:19. Looking for Turnkey Projects for Fertilizer & Micro Nutrients ?